to boot to the isolinux boot menu, select the menu item you want and then press TAB and edit the parameters to remove the bootfrom=removable words. 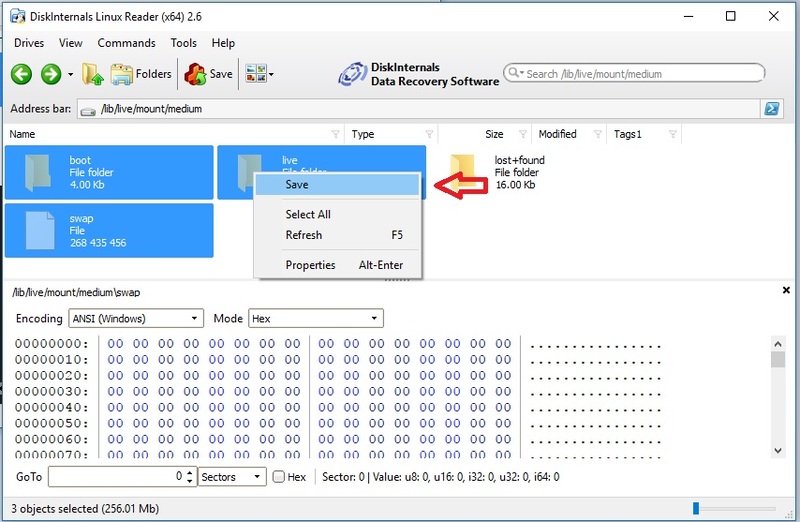 You can have a fully installed version on your E2B USB drive (Removable or HDD). NOTE: Method 2 (below) supersedes Method 1 and is a better method. It is possible to install Webconverger to another USB drive by using the Install menu entry. 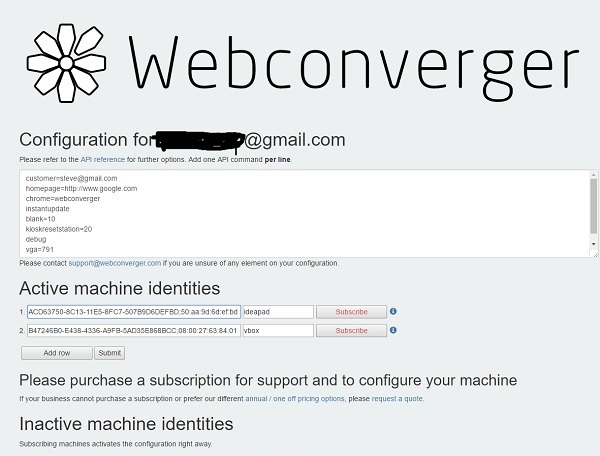 If this is done, Webconverger will automatically install updates and can also be configured. 2. Insert a small USB Removable-type flash drive. I suggest you use no larger than a 2GB USB flash drive because a 2GB flash drive will produce a 2GB image file. 3. Install Webconverger to the USB flash drive - boot from it and check that it runs correctly. 4. Now we need to image the partition on the flash drive. Use RMPrepUSB - select flash drive - Drive>File - C:\temp\WebconvergerInstalled - P1 - PALL - 0. This will make a file called WebconvergerInstalled (no file extension) starting at the beginning of the first partition P1. 5. Create an empty folder on your Windows system Desktop called EMPTY and then drag and drop the empty folder onto the MPI_FAT32 Desktop shortcut to make a file called WebconvergerInstalled.imgPTN. 7. Run \MAKE_THIS_DRIVE_CONTIGUOUS (run as admin).cmd to make sure they are contiguous. 8. Now you can switch to the CSM menu (if you use SWITCH_E2B.exe then the files do not need to be re-ordered). This menu find the parameters that were used in the extlinux.conf file (they start with boot=live) and then uses them in it's own menu. This is necessary because the parameters used in the extlinux.conf file will change from one installation to another or when the version changes or is updated. The menu entries for 1 and 5 can be deleted from the \menu.lst if you wish and you can move the Webconverger menu up and maybe add a 'timeout 5' line too. The Webconverger version number can be found by typing about: into the Webconverger browser address bar. If you don't have a subscription, you can try adding extra parameters after the %params% string - just uncomment and edit the green line(s). Note that if you have paid for a subscription, then adding extra parameters may affect any configuration changes you make, so I advise you not to add any extra parameters in this way. Details of boot configuration options can be found here. Debug info here. Some options require a reboot before they take affect (e.g. chrome=). Make sure you keep the configuration lines 'legal' - do not add any comments or illegal characters. Use %20 instead of a space, if possible check that a URL works and then cut and paste it from the browser address bar into the configuration window. Do not use = in a URL when using the web page to update configuration because it cannot parse the URL correctly - e.g. YouTube URLs must not have = signs unless you use single-quotes around URL. I found the instantupdate feature to be erratic. Sometimes, as soon as I entered the password, my Webconverger machines immediately loaded the new homepage (pretty awesome!) and sometimes I had to reboot each system to get the new homepage setting to take affect (not so awesome). This was my fault and due to using invalid characters such as a space or = or # or " in the configuration - e.g. modifying the homepage URL or trying to put comments in the config! This was fixed simply by enclosing the URL in single-quotes. Note: When you connect the E2B USB drive to a Windows 10 Creator system, you will be prompted to format the ext partition - just close the Format dialogue box - do NOT format it! I have not tested whether this installation will auto-update to a newer version yet as there is no newer update available yet. Boot to the Webconverger ISO on an E2B drive and use the Install WebConverger menu to install onto any USB Flash drive you have handy (it will wipe the drive). Boot from the drive and test it. Then quit Webconverger and connect the Flash drive to your Windows system. The files on the installed Webconverger flash drive are on a single ext volume. If you install the Paragon extfs Windows driver on your Windows system (trial, time-limited version), you can have direct access to the files on the flash drive and copy them over. If you have a linux system (or Virtual Machine), you can simply copy them to an empty folder on your Windows Desktop (via a FAT32 USB drive perhaps) and then make a FAT32 .imgPTN file from that folder. Here is how I did it using the free DiskInternals.com linux reader application. It does not allow you to write to ext filesystems, but you can preview files (it will show hex contents too) and also extract files onto your Windows system. This is a safer and more stable option than installing a driver. 2. Use the Save option to copy the two folders, live and boot and the swap file to the WC folder on the Desktop (tip: I needed to press F5 after inserting the linux USB drive under Windows 10). 3. Drag-and-drop that WC folder onto the MPI_FAT32 shortcut to make a .imgPTN file. My .imgPTN file was 830MB in size.